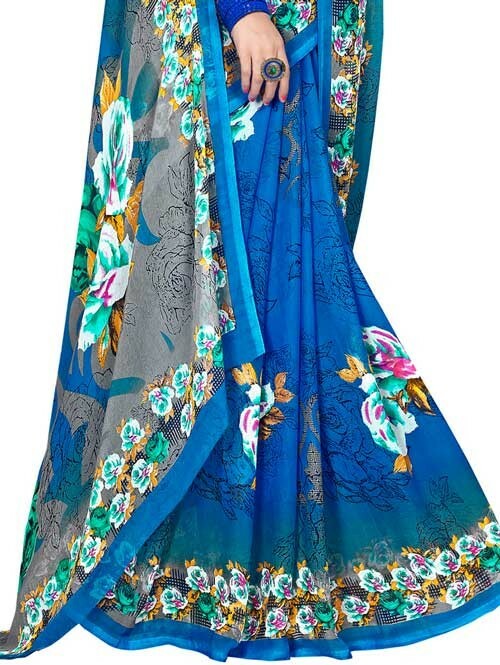 This Blue color Weightless Georgette material for Indian Women from the Collection of Grabandpack is designed as per the latest trends to keep you in sync with high fashion and with your wedding occasion. 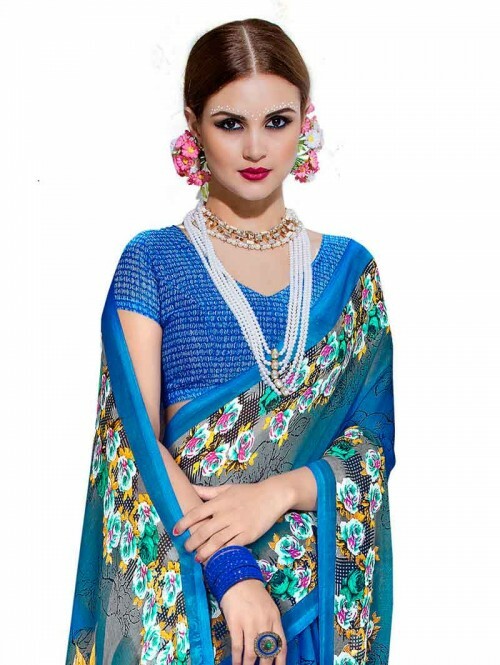 Made from Weightless fabric with Blue Color Georgette Blouse, it will keep you comfortable all day long. 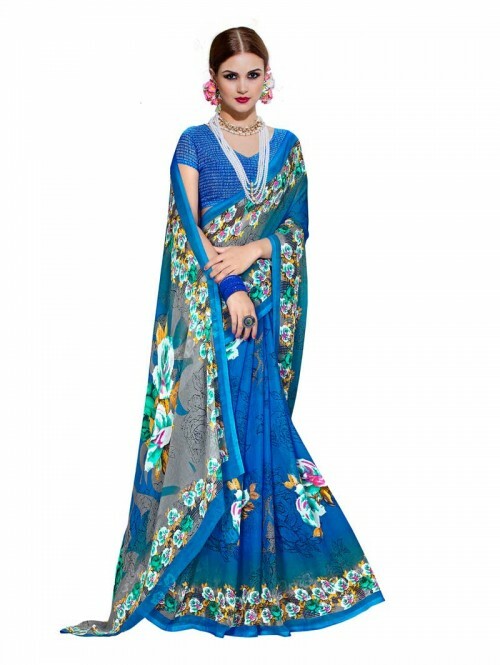 Stitch its Blouse as per your size and be the center of attention.But this Blue Color floral Printed weightless saree with Blouse Today. 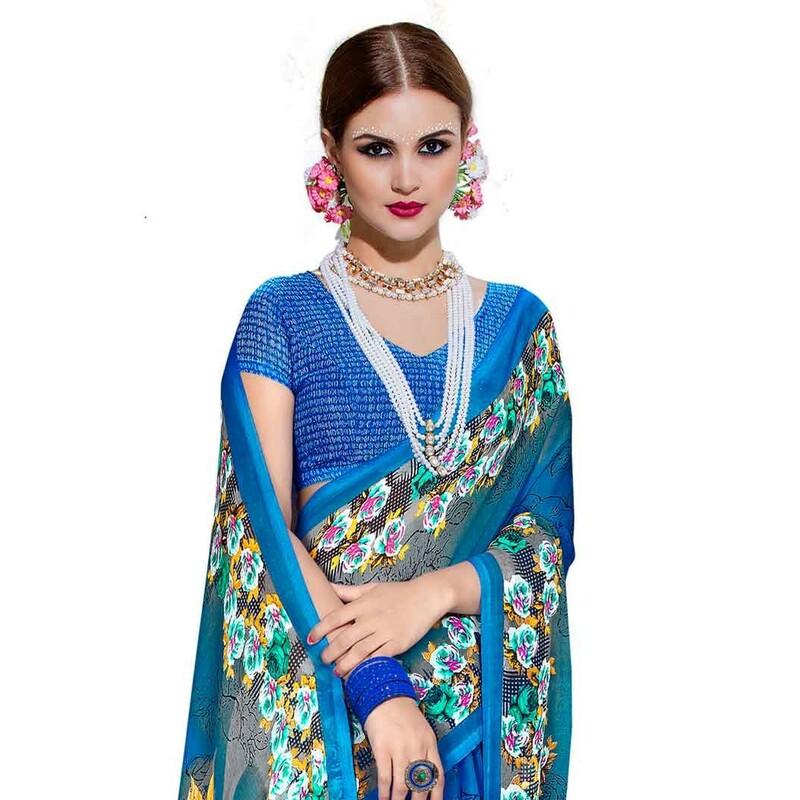 , This Blue color Weightless Georgette saree 5.5 meter in length with 0.8 meter unstitched Blouse piece, A Beautiful Saree In Your Wardrobe Gives You The Confidence To Always Be Ready For Any Party Or Occasion And This Blue Colored Weightless Saree Is The Ultimate Safety Clothing You Can Keep. 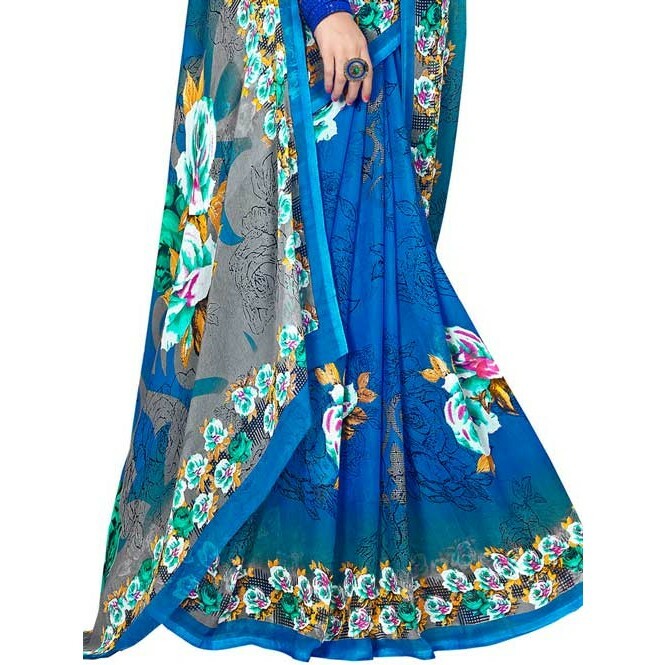 Its Has An Excellent Design Paired With A Georgette Blouse. 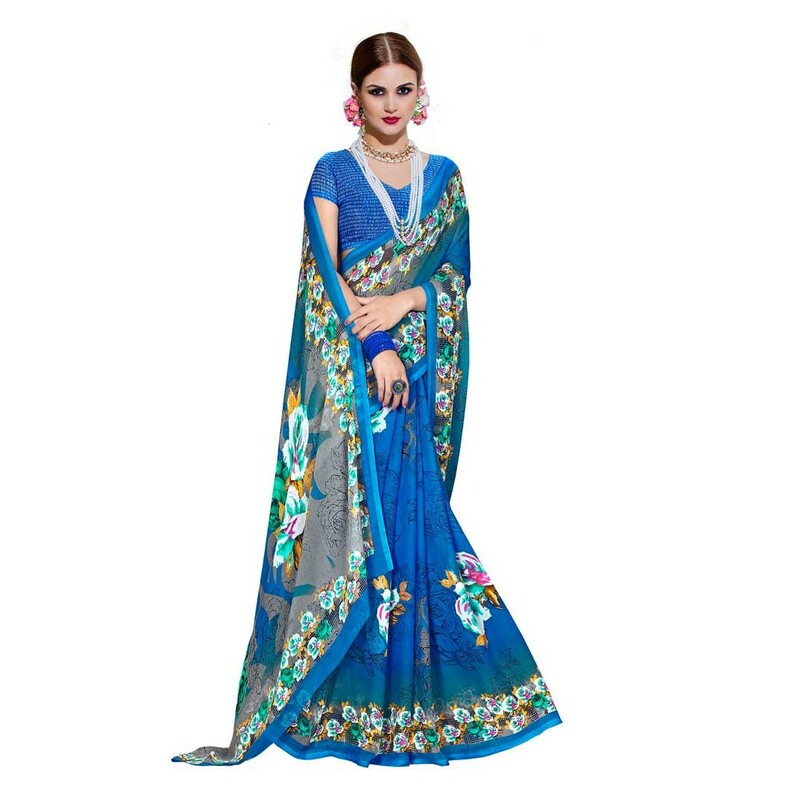 Wear It And Shine.Buy Blue Color Printed Floral Printed saree at the best price, Beautiful Blue Color floral Printed weightless saree with Blouse, This Blue color Weightless Georgette saree 5.5 meter in length with 0.8 meter unstitched Blouse piece, Grab This Deal Today.